The thyroid gland produces the hormones thyroxine, or T4, and triiodothyronine, or T3. The thyroid hormones circulate in the bloodstream and act on nearly all body tissues, influencing the pace of activity, or metabolism. Too much T4 and T3 characterizes the condition known as hyperthyroidism. Side effects associated with abnormally elevated thyroid hormone levels involve a variety of organ systems. Approximately one in every 100 people in the United States has hyperthyroidism, according to the American Association of Clinical Endocrinologists. People with excess T4 typically also have an elevated level of T3. Excess T4 and T3 cause a hyperexcited mental state, leading to nervousness and irritability. This common symptom of elevated thyroid hormone levels resembles the feeling experienced after consuming excessive amounts of caffeine. Because the excited mental state proves continuous, people commonly experience chronic insomnia. Hyperthyroidism commonly causes muscle weakness, especially in the thighs and upper arms. Muscle weakness leads to easy fatigability with physical exertion. Thus, people with high thyroid hormone levels often report a reduced ability to exercise and conduct daily tasks that involve physical labor. The bodies of people with hyperthyroidism generate excess heat due to the abnormally fast metabolic rate. People with excess T4 and T3, therefore, commonly experience increased sweating -- one of the body's primary cooling mechanisms. Similarly, people with elevated thyroid hormone levels find warm environments uncomfortable if not intolerable. 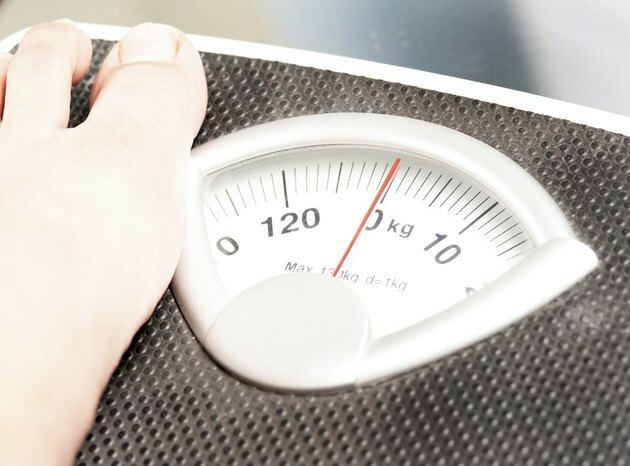 People with elevated T4 and T3 levels often experience unintentional weight loss. Their accelerated rate of metabolism leads to an increase in the number of calories required by the body. Although people with hyperthyroidism typically report a normal or increased appetite, weight loss is common. People with excess thyroid hormone commonly exhibit hand tremors. The tremors characteristically occur with hand movements or when the person attempts to maintain the hands in a specific position. Medical professionals describe the tremor associated with hyperthyroidism as a "fine" tremor, meaning the hands appear shaky as opposed to flapping broadly. Excessive T4 -- whether produced by the thyroid gland or caused by too much thyroid hormone replacement medication -- can lead to menstrual irregularities. Excess thyroid hormone interferes with the production and release of the hormones that control the menstrual cycle, typically leading to irregular periods or a temporary cessation of menstruation. Talk with your doctor if you experience any symptoms that may indicate high thyroid hormone levels. Although rare, hyperthyroidism can lead to a medical crisis called a "thyroid storm," which can be fatal if not treated immediately. If you are taking thyroid hormone replacement pills but experience symptoms of too much T4, you may need your dosage adjusted. The Washington Manual of Endocrinology Subspecialty Consult, Third Edition; Janet B. McGill, et al.